The Vice President of Wanhua Chemicalï¼ŒWanhua Chemical US Operations LLC CEO Dr. Weiqi Hua, and Gov. 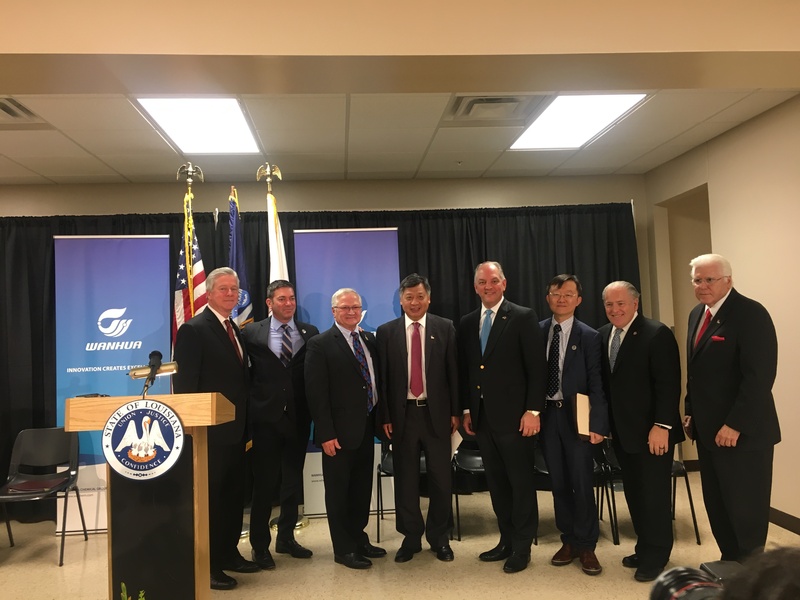 John Bel Edwards recently announced the company has decided to develop a new $1.25 billion American chemical manufacturing complex in Convent, St. James Parish, Louisiana. The new MDI plant has a capacity of 400 kilotons per year. This project will generate 1,000 construction jobs at peak activity, and create 1,230 new direct and indirect jobs.